As part of our commitment to quality workmanship and striving for excellence, we are proud to be members of our industry’s leading organizations. We have also received the honor to have been named Best of Arlington, Best of Loudoun, and Best of Fairfax! At M.E. Flow, we are proud to say that we employ skilled, knowledgeable professionals certified by NATE (North American Technician Excellence). NATE is the nation's largest industry-endorsed, non-profit certification body for HVAC/R technicians. To achieve NATE certification, technicians must pass stringent exams that test their knowledge of installation, maintenance and service of heating and cooling equipment. Completing this rigorous certification process demonstrates that they are able to ensure satisfaction with your home comfort system. Our NATE-certified technicians are among the finest in the heating and cooling industry! PHCC is the oldest trade association in the construction industry and the premiere organization for the plumbing-heating-cooling professional. As a member of PHCC, we're part of the largest membership association in our field. The attendant networking opportunities and educational resources mean we're always up to date on the latest plumbing techniques. NCI-Certified Professionals have received the highest level of training on the hazards of CO, how to test for them and the means to prevent them in the future. Each NCI-Certified Professional has complete training on proper procedures for venting, combustion air, and fuel adjustment. This training enables them to maximize the efficiency of your fuel-burning appliances and, very importantly, verify everything works safely together. This also means the life of your equipment should be extended because of less wear and tear. M.E. 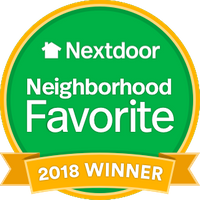 Flow is proud to have been selected by Nextdoor as the Neighborhood Favorite 2018 Winner. M.E. Flow has been awarded the prestigious Angie's List Super Service Award, an honor bestowed annually on approximately 5 percent of all the businesses rated on the nation's leading provider of consumer reviews on local service and health providers. Angie's List Super Service Award winners have met strict eligibility requirements, including earning a minimum number of reports, an exemplary rating from their clients and abiding by Angie's List operational guidelines. M.E. Flow is proud to have been selected by the Sun Gazette 2018 Best of Arlington polls. M.E. Flow is proud to be a recipient of the Best of Loudoun award for plumbing and HVAC. M.E. Flow is proud to have been chosen as the best HVAC contractor by the Sun Gazette 2017 Best of Fairfax polls. M.E. Flow is proud to have been chosen as the Best Home Improvement Contractor in HVAC by Northern Virginia Magazine readers. Dealers are picked to be Customer Care Dealers because they have a proven commitment to excellence, product knowledge and customer service. We're committed to understanding our latest technology, making sure you receive a system that achieves maximum efficiency, reliability and comfort. M.E. Flow is proud to be a Mitsubishi Elite Diamond Contractor, the highest form of accreditation available in the Diamond Contractor Program, awarded to companies who have achieved the highest level of performance in sales, training, service after the sale and customer satisfaction. M.E. Flow is a certified Nest Pro Elite Contractor. Our team is specially trained to install, service and maintain this state-of-the-art thermostat.